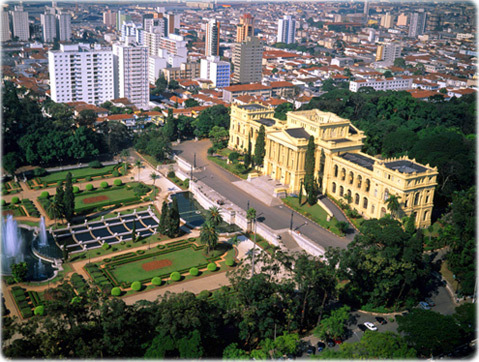 The city of São Paulo, in southeastern Brazil (capital of the state of São Paulo), is the most populous city in South America and one of the largest cities in the world. 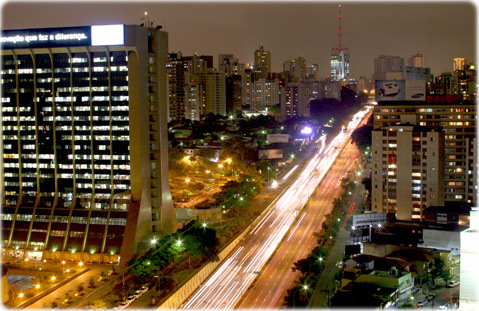 Copyright © Geographic Guide - Brazylia, South America Images - Vrasseel, Brasiilien. Brazylje, Bresil, Brazilska, Brezilya. 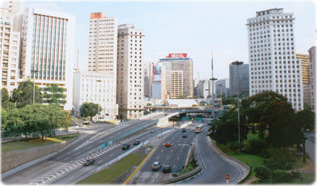 Above, Buildings at the Center of São Paulo city. 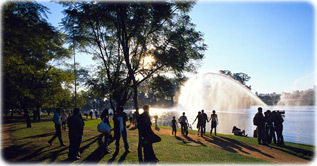 Below, Ibirapuera Park.